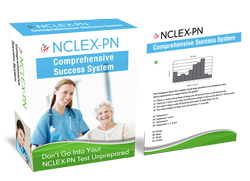 When it comes to mathematics in your NCLEX PN review, it’s no secret that some people love it – and an even greater amount of people aren’t looking forward to seeing it on their NCLEX PN exam date. Unfortunately for potential nurse practitioners, there’s no way to avoid it: math is an essential part of a nurse’s day in the hospital. From measurements to percentages and everything in between, math will quickly become a fact of life for a nurse practitioner. But it’s not mathematics within the daily life of a nurse that you should be worried about. Oh no. What you should look out for is the math that’s bound to make an appearance on your test date. So unless you know how to fight fire with fire, utilizing the best NCLEX PN practice questions, there’s little hope that you’ll pass on the first try. NCLEX-PN Exam Practice For Math: Your Best Friend Or Worst Enemy? You may think that you know every trick Pearson Vue and the NCSBN (National Council of State Boards of Nursing) are going to throw your way. From complicated scenario questions to advanced formulas that would make even Stephen Hawking scratch his head, you’re ready for whatever you need to do in your NCLEX PN review to get a passing score. But it’s not enough to have the confidence to tackle even the test questions. In fact, when it comes to mastering your NCSBN review, confidence and attitude are only part of the overall package. If you really want to pass this exam and seize your dream career, it’s all about beating your practice nurse examination at its own game. That’s right: if your nursing exam wants to test your math skills so badly, don’t you think it’s time to give this assessment a taste of its own medicine. Up until now, you probably thought that math was just something that you had to begrudgingly accept in order to become a nurse. But now it’s time to consider math your best friend – because we used a secret formula that can help you determine exactly how long to spend on each and every test question! You don’t have to be psychic in order to discover just how often some content questions will appear on your NCLEX PN exam. In fact, one strategy to getting a sky-high score is to learn the percentages of each type of question and use that to determine how long to spend on a question. Once you’ve figured out the percentage of test questions, have your study time reflect the ratio of the test questions. For example, if psychosocial integrity only makes up 8 to 14 percent of the test, don’t spend 40 percent of your study time reviewing it! Here’s another piece of freebie advice that makes percentages look like a nicely wrapped birthday present: spend approximately 11 percent of your study time on safety and inspection control. Although it wasn’t emphasized as much in nursing school, make space for it in your NCLEX PN exam preparation. Your sky-high test score will thank you for it! Head to: Free PN Prep Guide To Pass Your Practical Nurse Exam right now!